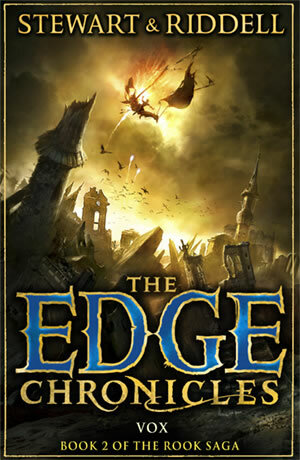 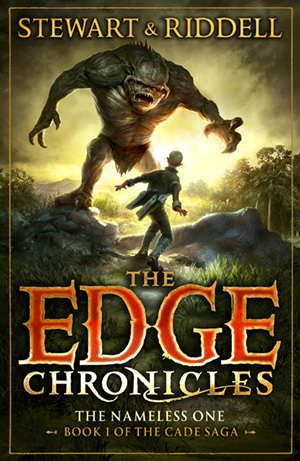 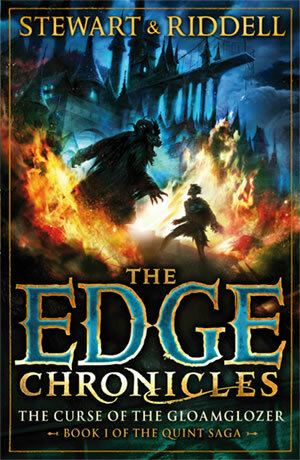 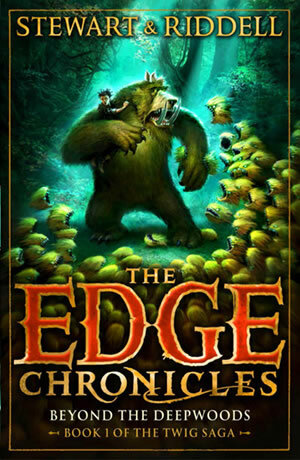 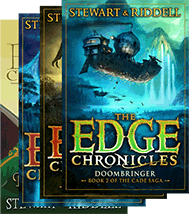 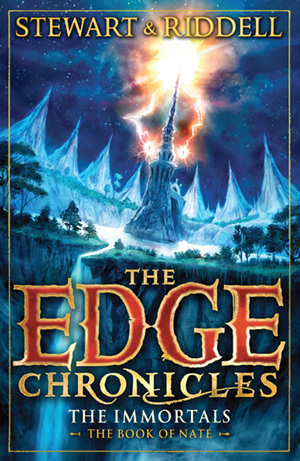 Stormchaser is the second book of the Twig saga – the second trilogy in the Edge Chronicles. 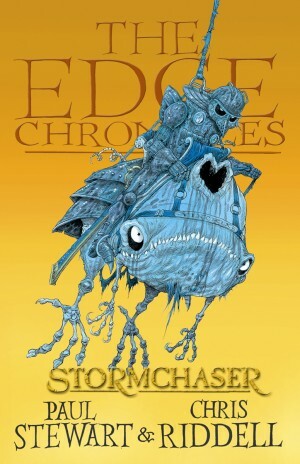 Twig Verginix has now realised his dream of becoming a sky pirate, exploring the skies of the Edge as a crew-member of The Stormchaser. 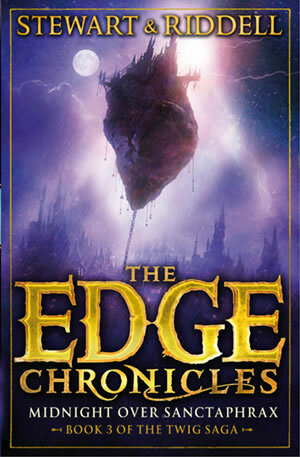 That is until Cloud Wolf forbids him from coming on the dangerous quest to collect stormphrax – a valuable substance created inside the heart of a Great Storm. 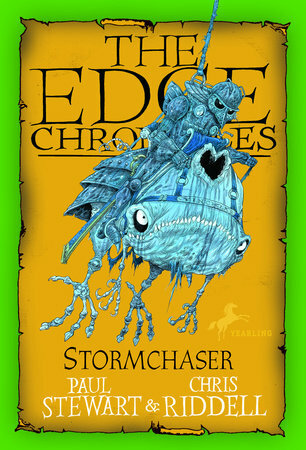 Twig refuses to leave his beloved skyship and smuggles himself on board The Stormchaser. 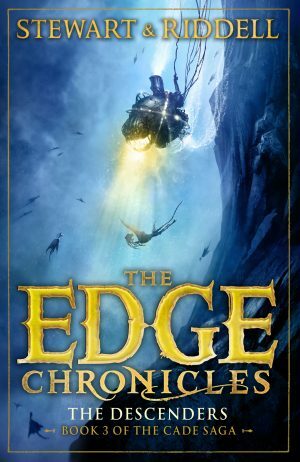 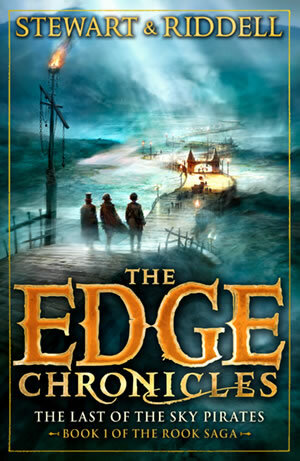 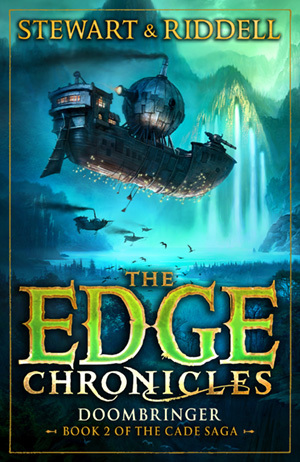 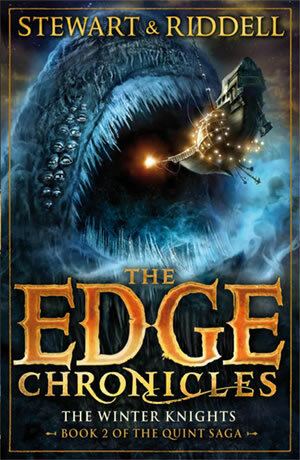 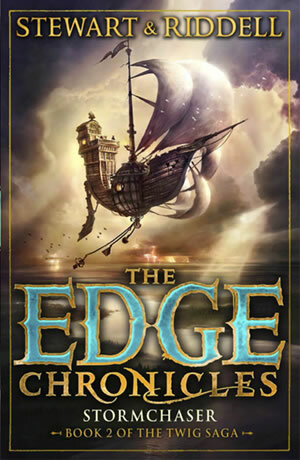 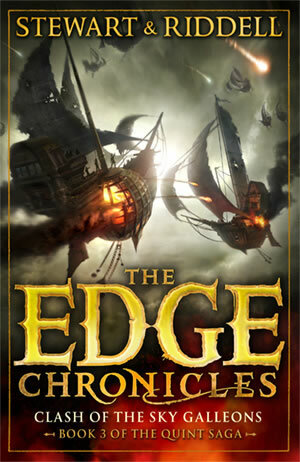 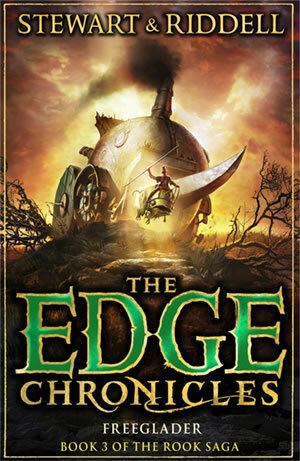 But can the ship – and its crew – survive the destructive force of the Great Storm itself?